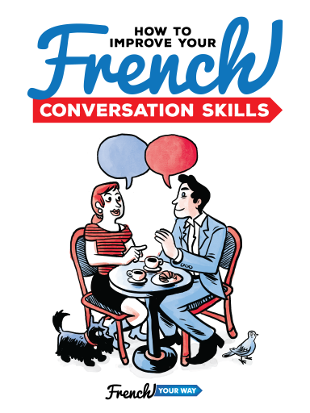 Whatever your level is in French, I bet you will learn something in this article! 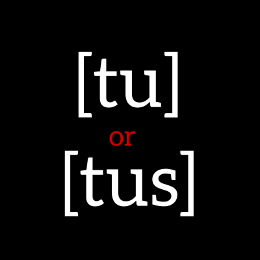 What’s the difference between tout / tous / toute / toutes? How and when to use them ? How to know when to pronounce the “s” at the end of “tous” in French ? 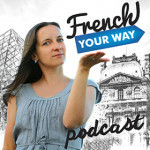 – This last question comes from one of my listeners of French Your Way podcast. I have featured it in episode 14. Click here to listen to the episode. There’s nothing complicated or out of the ordinary here. Please note however that the plural form of “tout” is “tous” (and not “touts” as I sometimes read in essays from students). The type of word will mainly be relevant for you to know to how pronounce “tous” (see later in this article). Pronouns replace someone / something. Nous irons en vacances tous ensemble. We’ll go on holidays all together. = all of us : myself and other people. Mes chaussettes: elles sont toutes trouées! My socks : they all have holes ! = all of them, all of my socks. Used as a pronoun, « tous » is pronounced « tooss » ([tus]), with the final “s” sound. Adverbs give more information about an adjective, a verb or another adverb. Il est seul (adj) → il est tout seul. He is alone. → He is all alone. Le bébé est petit. (adj) → Le bébé est tout petit. The baby is small. → The baby is very small. Nous avons déménagé récemment (adv) → Nous avons déménagé tout récemment. We moved house recently. We moved house very/just recently. Adverbs are invariable (i.e their form doesn’t change ; there are no feminine or plural forms). Il est étonné. → Il est tout étonné. He is surprised. → He is very/all surprised. Elle est étonnée. → Elle est tout étonnée. She is surprised. → She is very/all surprised. Ils sont étonnés. → Ils sont tout étonnés. They are surprised. → They are very/all surprised. Elle est petite (feminine adjective starting with a consonant) → Elle est toute petite. She is small. → She is very/all small. Tes dents sont blanches (feminine adjective starting with a consonant) → Tes dents sont toutes blanches. Your teeth are white. → Your teeth are very white. « Le tout » means « the whole / the lot / the whole lot / the full package. » It’s a masculine singular noun. Combien coûte le tout ? How much does the lot cost ? 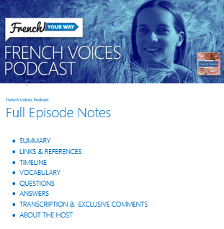 The student at the origin of this question about the pronunciation of “tous” said that his International Phonetic Alphabet converter doesn’t pronounce the final “s” whereas the Google Text to Speech program does – which added to his confusion. I would simply answer that softwares have their limitations! They can’t get all the subtleties of a language (at least not yet). I hope this helps ! Now test yourself with the practice worksheet !